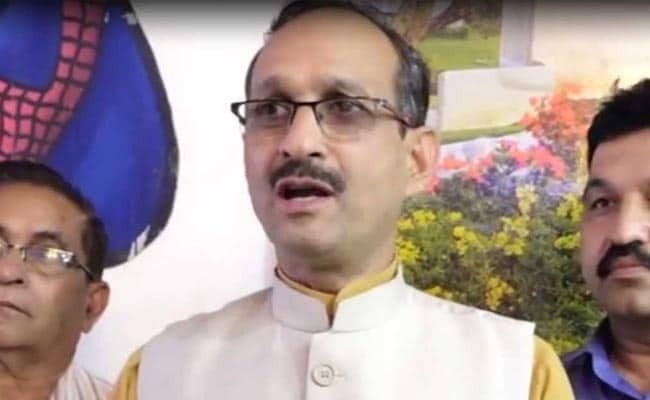 Himachal Pradesh BJP chief Satpal Singh Satti, who was seen in a video using an expletive against Congress chief Rahul Gandhi, refused to own up to using abusive language. He said his speech at a rally on Monday that was widely criticised by the Congress was "read out from a forwarded Facebook message" and it was not his own. "Rahul Gandhi is out on bail, his mother is out on bail, his brother-in-law is out on bail, and yet he calls the Prime Minister a thief. A Punjabi man asked me to convey this to you with a heavy heart, and that inspires me to tell you this. If PM Modi is a thief, then you are a m********," Mr Satti was heard saying in a video circulated on social media. Mr Satti said the "Congress has been trying to spread rumours" about what he said at the rally in Solan town, 46 km from Shimla. "If somebody sees it (the video), one will understand whatever I have said about Rahul Gandhi was what someone had posted on Facebook and forwarded to others. I read it out from there," the BJP leader told reporters. "But the congress did a cut and paste job and accused me that I said that word about Rahul Gandhi. There is no bigger lie than this," Mr Satti said. Mr Satti accused Rahul Gandhi's party of using the video to "raise some noise" in the hill state as the Congress doesn't have an "issue to pick in Himachal". "They are not going out asking for votes, their leaders are hiding their faces. The Mandi leaders are roaming around in Kangra, the Kangra ones are in Shimla, they cannot gather votes, so they think why not raise some noise. What was said about Rahul Gandhi, even our junior-most party worker won't say," Mr Satti said. Incidentally, Mr Satti was not the only politician to make an unsavoury reference to a rival leader on Monday. Samajwadi Party leader Azam Khan was caught talking about "khaki underwear" on video while campaigning in Uttar Pradesh's Rampur against actress-turned-politician Jaya Prada, a former party colleague who has now joined the BJP. Azam Khan has been barred from campaigning for general elections for three days by the Election Commission.